Harriet is seven. And seven eighths. Horace is seventeenth century. And a STATUE! 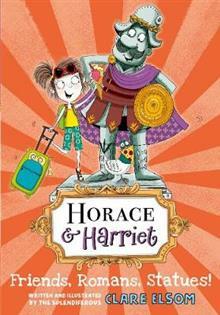 When Harriet is about to go on a family mini-break to Italy, Horace goes missing from his plinth. Harriet discovers why as soon as she arrives in Rome: Horace has rocked up in one of the city's squa... read full description below.